Consider this your new kikay kit staple. What’s worse than high-wattage shine on a hot, humid day? Answer: Your heavy foundation clogging your pores and slowly dripping down your face. Lucky for us, a foundation line has finally arrived in the country, ready to solve all our oily skin woes. 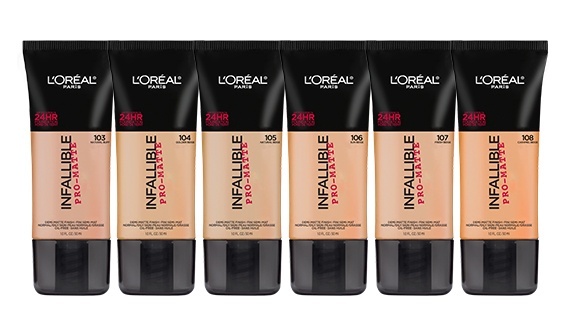 Philippines, meet the L'Oréal Paris Infallible Pro-Matte 24H Foundation! This drugstore beauty find has gotten a lot of praise and positive reviews abroad, so we’re beyond excited that it's now within reach. But don’t just take our word for it. Check out what these beauty girls love about their new HG foundation! It controls oil all day. Infallible Pro-Matte 24H Foundation is now available in leading department stores and drug stores for only P700. Visit the L'Oréal Paris Philippines Facebook page to learn more about their Infallible long-wear makeup range.